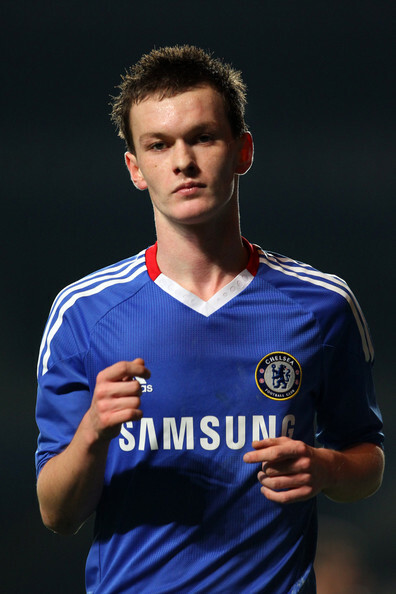 Goals from Josh McEachran and Nathaniel Chalobah secured Chelsea’s place in the last eight of this year’s FA Youth Cup. Chelsea, managed by Dermot Drummy, went a goal behind after just 15 seconds. Nevertheless, they were always in control and a win always looked comfortable. The winner from Chalobah came three minutes from time. He converted a Josh McEachran delivery which sparked jubilant celebrations from the Chelsea youngsters. Josh McEachran was fresh from his England Under 21 duty, in which he played against Italy on Tuesday, and gave a performance of the same quality as he looked to be running the game at times. The first move of the match saw a delightful run from Reuben Noble-Lazarus, who interestingly became the youngest player in England to play league football two years ago. He produced a lovely cross for Danny Rose to convert. After a glance to check the offside flag, he was satisfied it stood and ran off celebrating. After the early period of pressure from Barnsley, it seemed to be all Chelsea from then on. After 11 minutes, Daniel Pappoe used his height advantage to rise above everyone and win the header in the opposing box. Unfortunately for him and Chelsea, his header glanced wide of the post. Shots from Milan Lalkovic, Billy Clifford and Adam Nditi all could have tested the Barnsley goalkeeper, but found themselves off target. Milan Lalkovic continued to look bright as the first half went on. Although his shot could only find the centre of the goal, comfortable for the ‘keeper. The second-half started exactly like the first. Barnsley scored 15 seconds into the game and Chelsea weren’t far off in the second half. A neat back-heel from Billy Clifford set up the England Under 21 international Josh McEachran who placed a nice finish into the bottom corner of the net. Chelsea knew they were on top but wanted to prevent the tie going to extra time. Shots were flying everywhere with just ten minutes remaining. On 87 minutes they finally struck gold and sealed their place in the quarter finals. Josh McEachran fired a cross into the six-yard box which looked destined to find the ‘keepers punch. Daniel Pappoe was their to challenge the goalkeeper to give him no chance of touching the ball. The ball flew past the goalkeeper and landed on the head of centre-back Nathaniel Chalobah who scored his second goal of the cup run. Chelsea will face Watford in the sixth round of the competition. Elsewhere in the sixth round, a lot of ties are still undecided. Either Liverpool or Southend United will play at home to Manchester United or Newcastle United. Middlesbrough have an away tie at Leeds or Aston Villa and Leicester City or Preston North End will host Sheffield United. Check back with The Youth Radar for unrivalled coverage of this season’s FA Youth Cup.